While travelling in America with his brother, Scott stumbled upon Swing dancing. He was instantly drawn to the energy of the dance, the music and the people. Scott made a New Year’s resolution to learn how to swing dance. Soon after, he began teaching classes and things took off from there. Along with his business partner Claudia, he started Swing Patrol, often called the world’s largest swing dancing school. Scott’s love for swing dancing was contagious — his classes grew from 23 people on the first night to over 200 people after eight weeks. Many years later Swing Patrol run weekly classes in Melbourne, Sydney, Tasmania, Berlin and London. 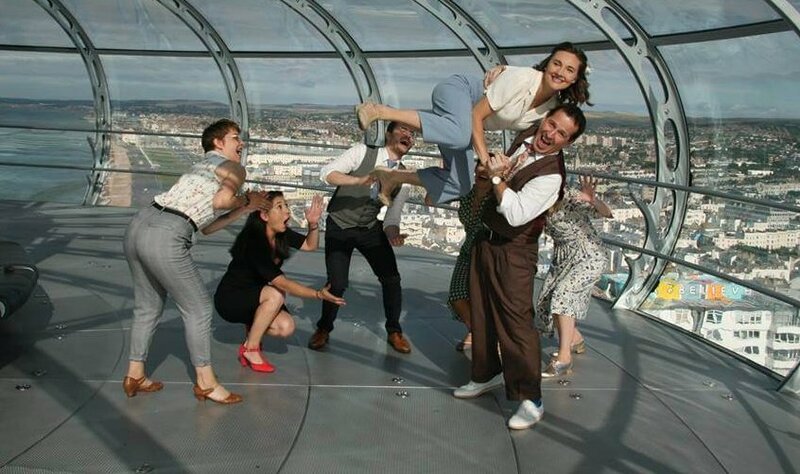 Scott moved to London in 2009 to open Swing Patrol London which now has over 1000 students a week through its many venues and weekly social dances. In 2009 Scott gained an amazing amount of media attention with his interactive and swinging hour on the “empty Plinth” in Trafalgar Square. Voted one of the top ten hours of the whole project by the Evening Standard Scott bought 100 of his London dancers to be involved and the footage is spectacular. The story gained global attention with articles popping up in Texas, all over Australia, Germany and Britain. Even the Fiji Times ran a story. 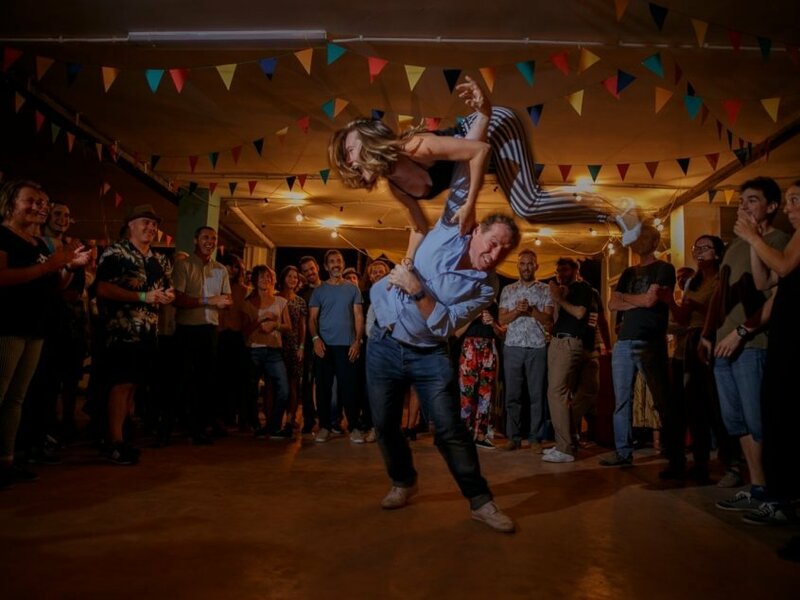 Scott still teaches Lindy Hop & Balboa weekly as well as running the business. He is often invited to teach abroad and at local scenes around the UK. After 17 years he still thinks he has the best job in the world. Read a more full bio here.